It seems oddly fitting that I am writing about the home of tomorrow from a home of the past. Roughly 50 miles from PSFK’s Future of Home Living Experience, I am spending a few nights in a tent pondering the home of the future as well as the massive transformations that have shaped the home of the present. The 100 degree temperature, soupy humidity and bloodthirsty mosquitoes have me yearning (possibly begging) for the basics we take for granted – windows, indoor plumbing, air conditioning and electricity. 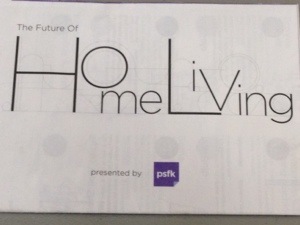 PSFK has taken on the challenge of defining the trends in furniture, gadgets, electronics, apps and design that will shape and define The Future of Home Living. 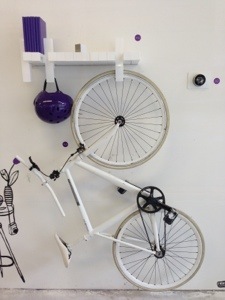 In an airy 5,000 square foot space at the corner of Sixth Avenue and 15th Street in New York, PSFK has created an interactive exhibit showcasing dozens of remarkable products and experiences. I had an opportunity to attend a preview walk though in the space. While they were still putting the final touches on the exhibit (which opens on Monday 7/23 and runs through Friday 8/16), the space is bright, open and inviting. It is loosely divided into areas dedicated to each part of an apartment or house. Living room, kitchen, bathroom, bedroom and more, showcasing the interconnected, environmentally friendly, super-convenient house of the future. PSFK’s founder Piers Fawkes and Director of Consulting Scott Lachut gave an energetic in-depth tour and thoughtfully answered questions about the gleaming products on display. The three broad themes running throughout the exhibit are Adaptive, On-Demand and Equilibrium. 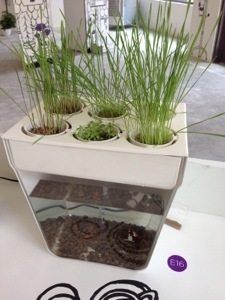 Adaptive focuses on customizable solutions for multiple uses in small spaces. The Thin Bike, Peg Furniture System and ZIG Sofa are three examples of products that can work in tighter living spaces providing maximum flexibility. On-Demand centers on the networked home and the ability to outsource chores and errands. 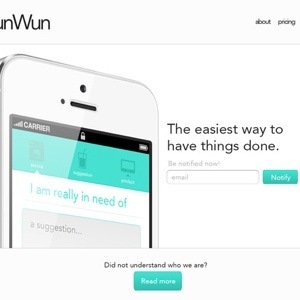 GetUpArt Service, WunWun and Hello Fresh Delivery are ultra-convenient services that maximize leisure time. Equilibrium is all about balance in a chaotic world. The Dezibel Floor Screen, Aquafarm and HAPIfork are all products that help us lead a quieter, more environmentally-friendly and healthier life. 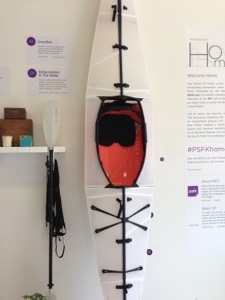 From the hydroponic plant system in the window to the folding kayak and wireless/3D everything, the exhibit only disappoints in its focus on gadgets rather than the big-picture thinking for which PSFK is known. Their report on The Future of Work was revelatory. It showed how we will communicate, collaborate and innovate in the future. PSFK provided not only a blueprint for the the workspace of the future, but a clear road map for how we will get there. I wanted the same depth and immersive thought applied to the hows and whys of home living in the future. What will be the transformative technologies and forces that redefine our living spaces? However, the Future of Home Living Experience is still a fascinating look at some incredible technology and services that will make our lives better, healthier and more balanced. If you are interested you can sign up for the exhibit here. And please, let me know what you think.